Growing up in the country is an experience in itself and exposes you to things that your city counterparts will never have gone through. Sometimes this is a good thing, sometimes it is not. While many from the suburbs would claim that they grew up ‘in the country’, there’s a major difference between living on the outskirts of a large town and living somewhere that a van visits each week so you can stock up on groceries. 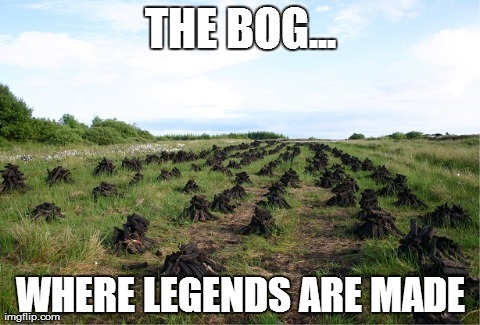 So, we put together out ultimate list of things that prove you had a true culchie upbringing. For many, standing on the sideline in a camogie skirt watching your thighs go a worrying shade of blue is the defining childhood memory. Whether you were the all-star full forward or the water girl, a true country woman is well aquainted with the pain of a hurl across your shin, overenthusiastic mothers shouting ‘get stuck into her!’, vicious rivalries with the next village and the unforgettable smell of Deep Heat. Cringy as it may seem now, there was nothing else to do so we all ended up doing our very own Riverdance impression or learning the ‘hitch, shuffle, jazz square’ to Achy Breaky Heart on a Saturday morning. Bonus points if you wore a curly wig to take part in the local féis. You were there on Wednesday for your cousin’s communion dinner and back on Saturday to shift Johnny from your history class in a dark corner to the strains of Mark McCabe’s Maniac 2000. Good times. Your city cousins might have spent a day standing around to see what all the fuss was about but the thoughts of turf-cutting season are enough to strike fear into the heart of any true country woman. Forget summer ‘holidays’, those precious months off meant long days with an aching back to make sure you had enough fuel for the year ahead. On the upside, no cup of tea or ham sandwich will ever taste as good as the one had in the bog. City slickers may look back with fond nostagia at their first kiss but country girls don’t have that luxury. ‘He who you first swapped saliva with’ lives less than a mile from your house and you have to bump into him at Mass every Christmas. Awks. Small villages breed a close community and woe betide the person who forgets to wave at a passing neighbour, regardless of whether you actually know them or not. The last thing you want is anyone thinking you’ve ‘got notions’. Just as every character in Home and Away moves away to ‘the city’, every country person heads ‘to town’ for the weekly shopping. No further explanation needed. Forget Mo Farah or Sonia O’Sullivan, the only sports stars of interest in a small village are the winners of the Egg and Spoon and the Three-Legged Race. With the focus of a gold-medal sprinter, you’d connect yourself to your best mate with a pair of tights from Penneys (40 Denier to give you a competitive edge) and race like your life depended on it in the hope of claiming a generic gold medal and a packet of Tayto. This will be your year. While the expansive fields provide an idyllic background for childhood, living in a farming stronghold does have its drawbacks and spending an hour behind a tractor piled high with bales would definitely be one of them. If you find yourself at the back of a funeral procession, you may as well write off the evening. Keep your Euromillions, winning the €600 local jackpot and getting your name in parish newsletter is what we’re all about.